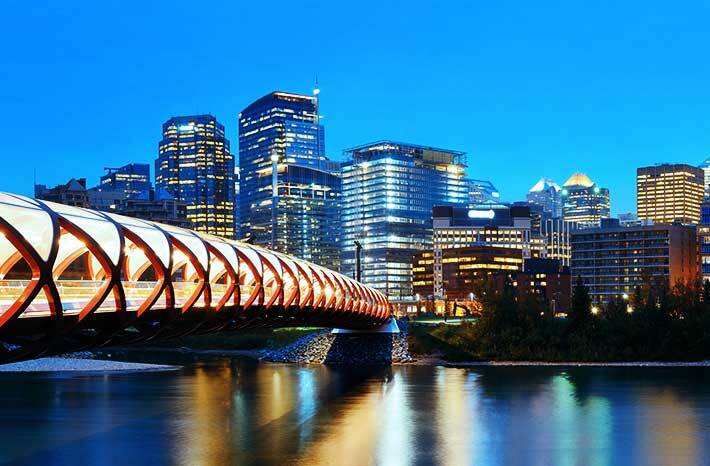 Calgary is home to many things, including the Calgary Stampede, the 1988 Winter Olympics, and the Calgary Flames. But it’s also a city filled with businesses, ranging from large corporations like the Canadian Pacific Railway to small businesses. It’s important to ensure these businesses are protected from the risks they face daily. Federated Insurance is committed to protecting Calgary-based businesses by offering comprehensive business coverage. Why do you need insurance for your Calgary-based business? Despite all your best efforts to prevent claims for happening, sometimes things can go wrong, so it’s important to be prepared. Your business could suffer from a large fire or extensive vandalism. Would you be able to shoulder the costs associated with such a disaster? Could your business bounce back after a cyber-attack or lawsuit? That’s where Calgary business insurance comes in. A business insurance policy from Federated Insurance can help protect your business from the unexpected. We understand what it’s like running a business in Calgary, because we’re local too. Whether you own a retail business, run a car dealership, or work in a range of other industries, we’re here to help! The type of insurance you’ll need will vary depending on your business. After all, all businesses are unique, so your insurance policy should be too! After looking at several factors including revenue, business contents, where your business operates, and more, we can help you determine which coverages are best for you. Here are a few of the coverages Federated can offer to help protect your Calgary-based business. Any business that has a physical building is at risk of suffering from a fire, flooding, or vandalism. So, protecting that building and ensuring you have the necessary tools in place to recover quickly is key. Commercial property insurance is designed to help protect the building you use, as well as a range of other things, including equipment, inventory, furniture, computers, outdoor signs, and landscaping like gardens. Should your business experience a disaster, commercial property insurance can help with repair and replacement costs. Some businesses may think their personal auto insurance will be sufficient in protecting their company cars, but commercial auto insurance is a vital part of any business’ toolkit. If a company car is involved in an accident, commercial auto insurance will cover both that car, as well as any damage to a third party. Standard commercial auto insurance can also cover loading and unloading liability, if property owned by others is damaged while it is being removed or placed into your vehicle. It can also provide replacement car coverage, if you have to rent a temporary car for day-to-day operations after an accident. If your business suffers from an extensive fire, you may have insurance that helps with the repair and replacement costs, but what about the money you lose when your business is closed for those repairs? That’s why business interruption insurance is an important tool for any business. It helps replace your lost income and cover expenses should your business suffer a loss that disrupts, reduces, or suspends your operations. When running a business, you’re responsible for your building and its contents, but what you may not realize is that you can also be held responsible for bodily injuries or property damage to a third party. That’s where commercial general liability (or CGL for short) comes in. It can help protect your business with the legal costs that you may incur as the result of a lawsuit. Why should you choose Federated Insurance to protect your business in Calgary?